Hands down the best cushion sanders ever made. All shanks are solid steel construction. Work great with any flexible shaft tool. 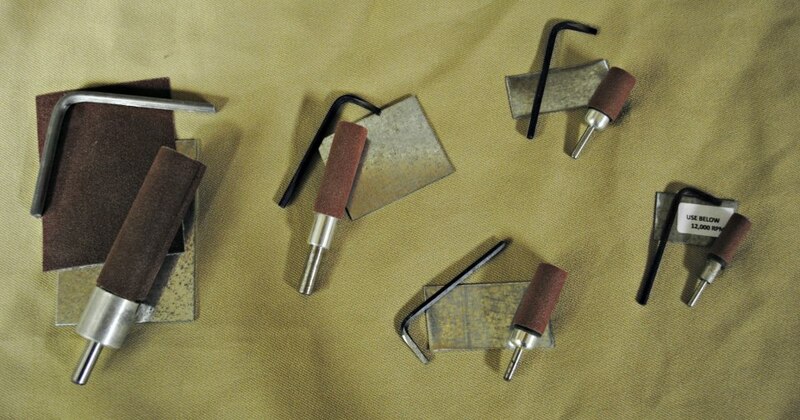 "Fordem or Micro Tools" All sanders come mounted with paper, template for cutting sandpaper and locking key. To place an order please call or email us.